Leaf : Soft, finely plucked the whole leaf with a blaze of the silvery tips. 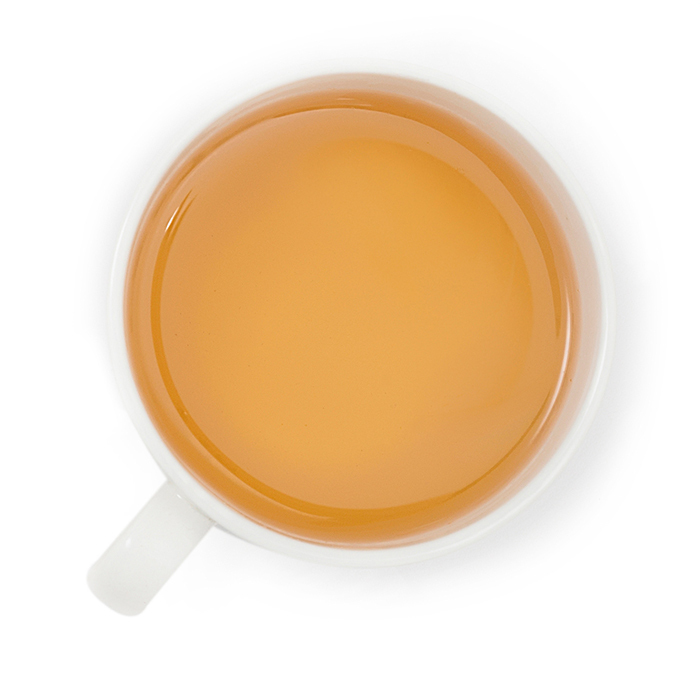 Liquor : Light, delicate, mellow and soothing to the senses. 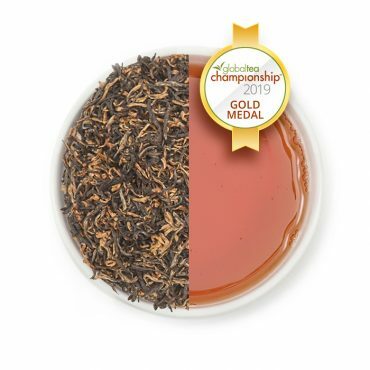 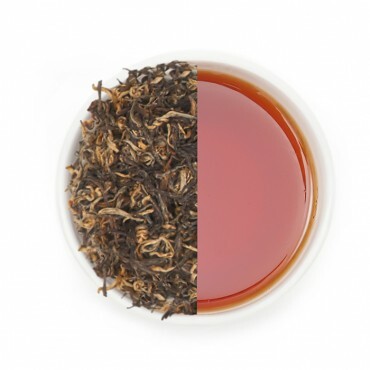 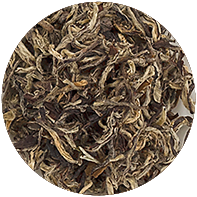 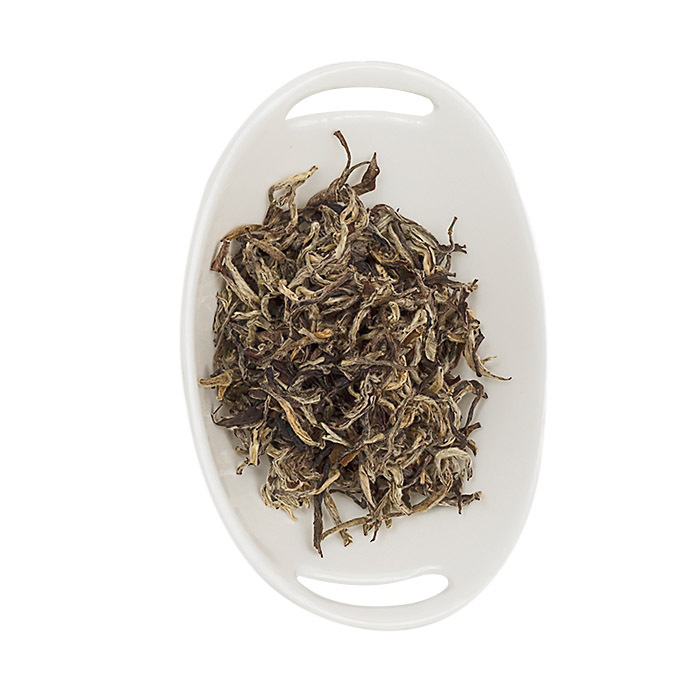 Just like our Oolong tea, this tea is also extremely mellow, gentle and not very over powering to the senses. 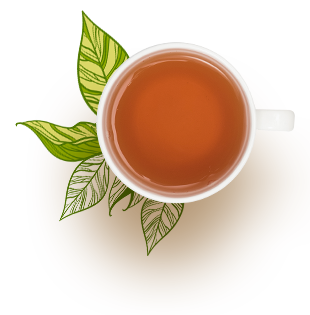 This is also has less caffeine content and can be consumed at any time of the day. 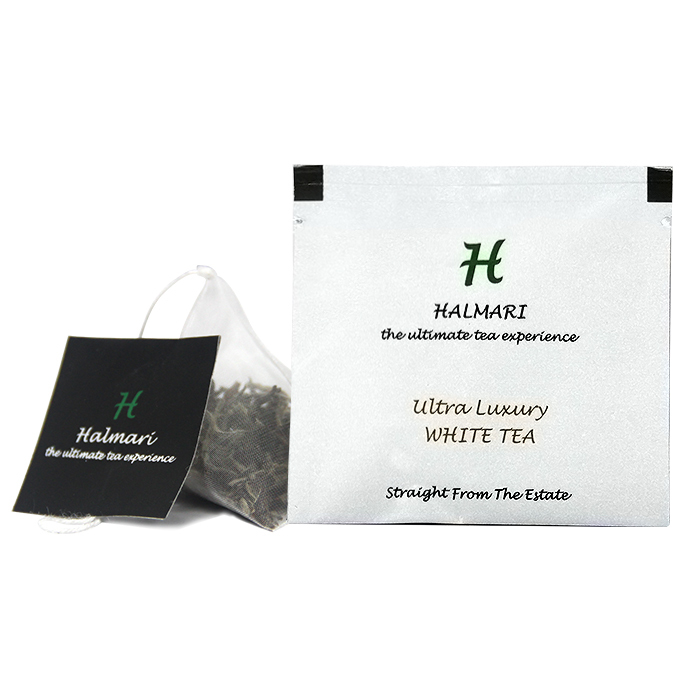 Perfect and gentle just like white tea should be. 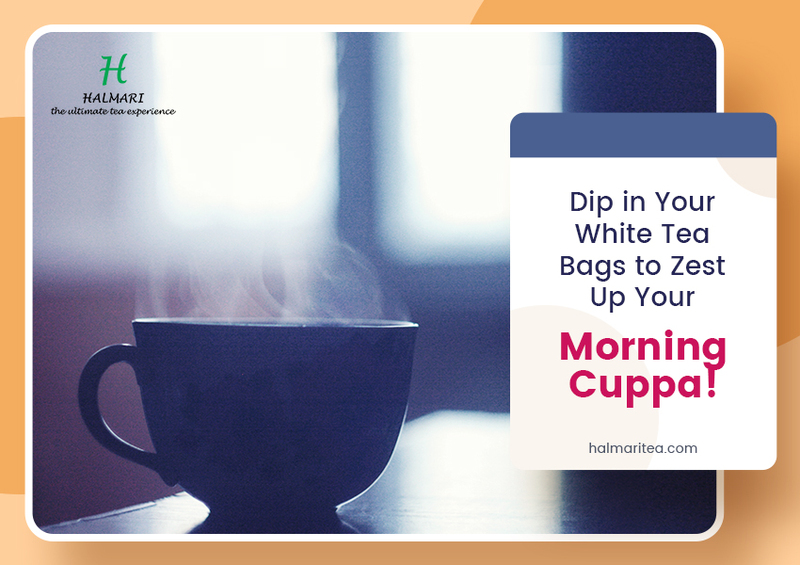 It may not be everyone’s favorite cup of tea but this one will definitely give you a run for the favorite position. 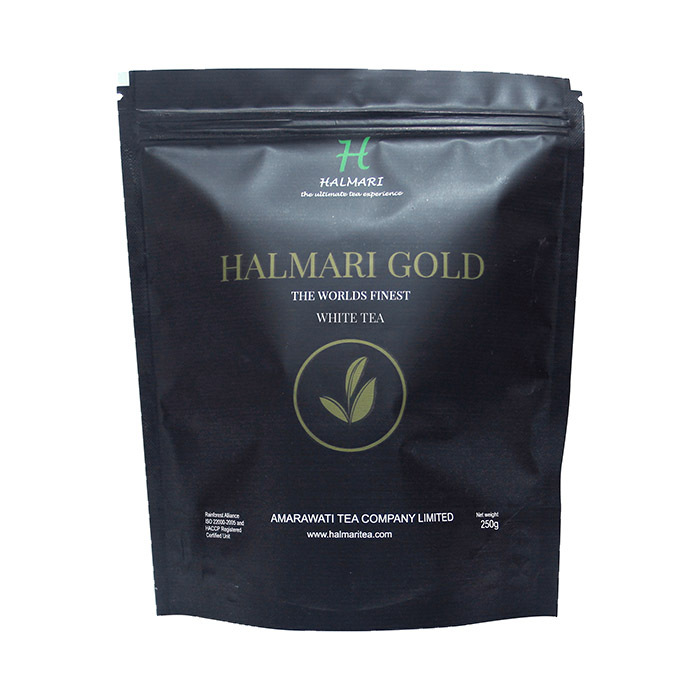 Buy excellent white tea online in India at the best prices. 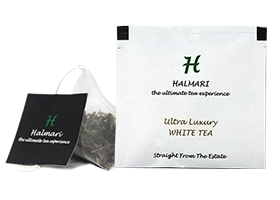 Halmari brings mellow tippy bright silver needle white tea that you will cherish. 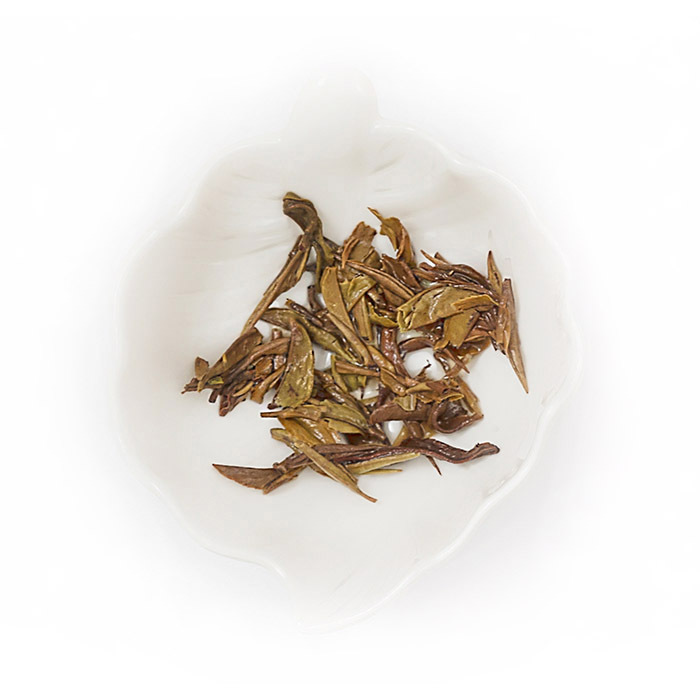 Soft and finely plucked whole leaves will add magic to your cup. 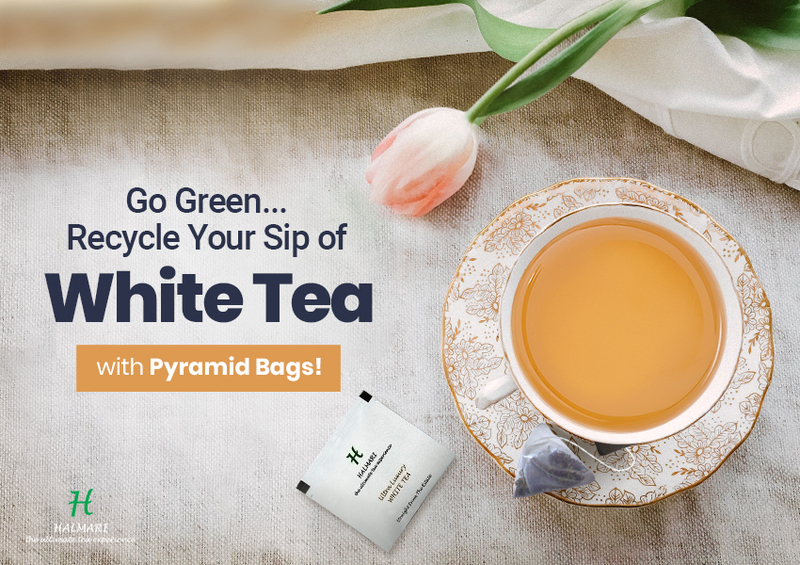 Order the best quality white tea now. 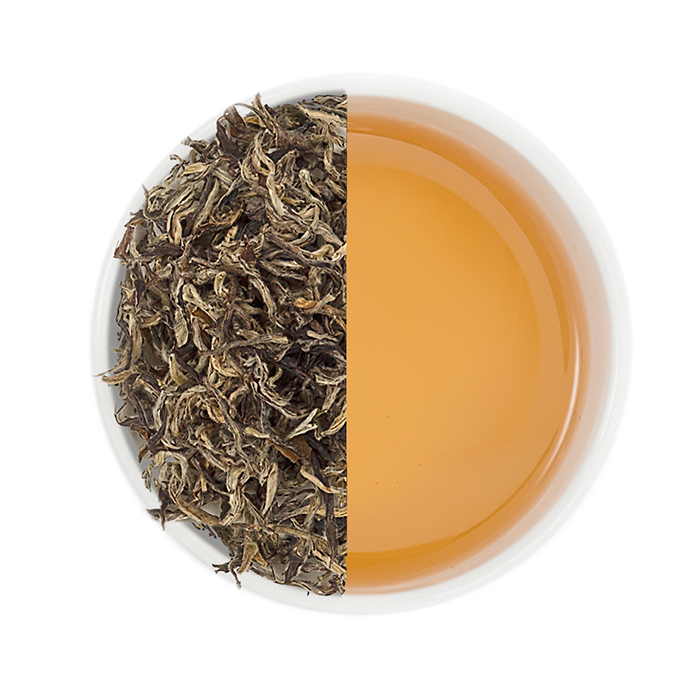 A truly light brew that has exoticness in its very nature. 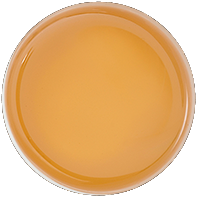 It does have a gentle and mellow flavor making up my regular tea breaks exciting and refreshing. 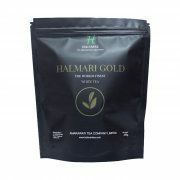 My daughter had introduced me to Halmari’s gold white blend. 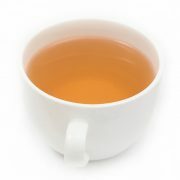 Now, it has become my favorite. 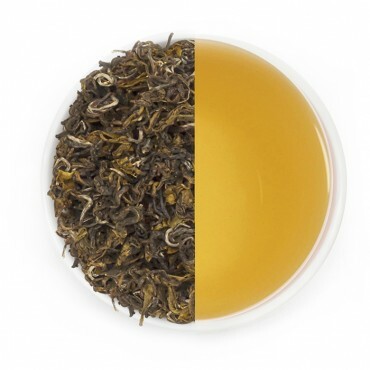 A cup of this Gold white is my perfect companion, on a warm summer night out on my patio. 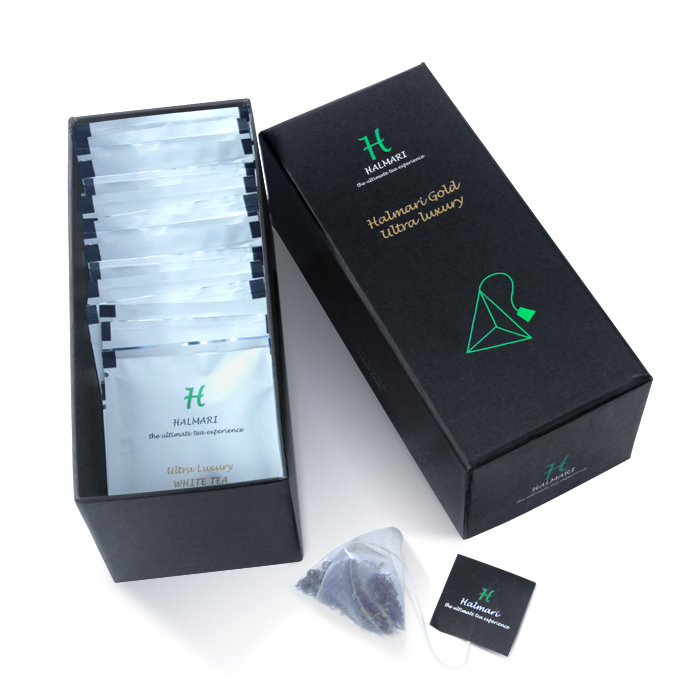 Waiting for my other orders to get delivered.